Are chess and bridge sports? The International Olympic Committee thinks that they are, and regularly considers them for inclusion in the summer games, along with other marginal contenders such as waterskiing, tug of war and squash. Neither chess nor bridge has as yet managed to win a place, but their governing bodies are indefatigable in pursuit of that goal. In my view, however, chess and bridge shouldn’t even be eligible, let alone included. They are games, not sports. The requirements are different. While many activities are both games and sports – tennis and golf, for instance – there are also sports that aren’t games – skiing and surfing, say – and games that aren’t sports – snakes and ladders, or chess and bridge, for that matter. The philosopher Ludwig Wittgenstein once claimed that games were undefinable, defying anybody to produce a set of necessary and sufficient conditions for the concept. It is a pity that he did not live to read the Canadian philosopher Bernard Suits’s book The Grasshopper: Games, Life and Utopia (1978), which responds to Wittgenstein’s challenge with this neat definition: ‘the voluntary attempt to overcome unnecessary obstacles’. Suits’ idea is that all games specify some agreed target state – such as reaching the final square in snakes and ladders, or getting your golf ball in the hole – and then place arbitrary restrictions on the means allowed – you must go down the snakes but not up; you must propel the ball with your clubs and not carry it down the fairway. As an account of games, this seems spot-on. Suits is on less solid ground, however, when he argues that all sports are games. While sports that do have arbitrary rules, such as golf and tennis, fit his definition of a game, Suits has trouble with freeform activities such as skiing or surfing. He tries to crowbar them into his definition by focusing on the rules that structure competitive versions of these sports. Still, what about recreational skiing and surfing? In most people’s eyes, these are still sports all right, even without any rules to make them games. Suits’s emphasis on rules also leads him astray when it comes to the value of sport. As he sees it, the point of sports, along with all other games, is to meet the challenge of the ‘unnecessary obstacles’ placed in the way of the agreed target state. This is unconvincing. I’d say that, if something isn’t worth doing, it isn’t worth doing even when it’s made difficult. There must be more to sports than overcoming unnecessary obstacles. The real point of sports is the exercise of physical abilities. Pride in physical performance is a deep-seated feature of human nature. Humans hone their physical talents and take delight in using them. I would say that a sport is any activity that facilitates the display of physical skills. Even when a sport is a game, like tennis, the value of the activity lies in the physical expertise, not the structure of the game. Top-spin crosscourt backhands are good because they are admirably skillful, not because you have to overcome tennis’s arbitrary rules in order to win a point. In line with this, it is noteworthy how many sports have grown out of everyday physical activities. Adepts start to develop their talents for rowing – or archery, fencing, bronco riding, catfish noodling, sheep-dog directing, trailer-truck reversing – and soon enough these become organised sports. It is only natural that someone who takes pride in their ability to row fast should want to see if they can row faster than others. This is why chess and bridge are not sports. You could argue that physical energy is expended in moving the pieces or playing the cards – perhaps even more energy than in static sports such as target shooting. However, that’s not what the competitors are trying to be good at. After all, it would make perfectly good sense for an armless chess or bridge player to instruct someone else how to play on their behalf. But you aren’t competing in a shooting event if you arrange for someone else to aim the gun and pull the trigger for you. Sports are essentially physical, in a way that chess and bridge are not. Of course, this does not mean that games that aren’t sports have no value of their own. Still, as with sports, this value always involves something more than simply surmounting unnecessary obstacles. For many games, the point is to engender excitement through randomness, as with children’s dice games such as snakes and ladders, or gambling games such as roulette. And then there are the many games that facilitate the exercise of praiseworthy mental abilities. 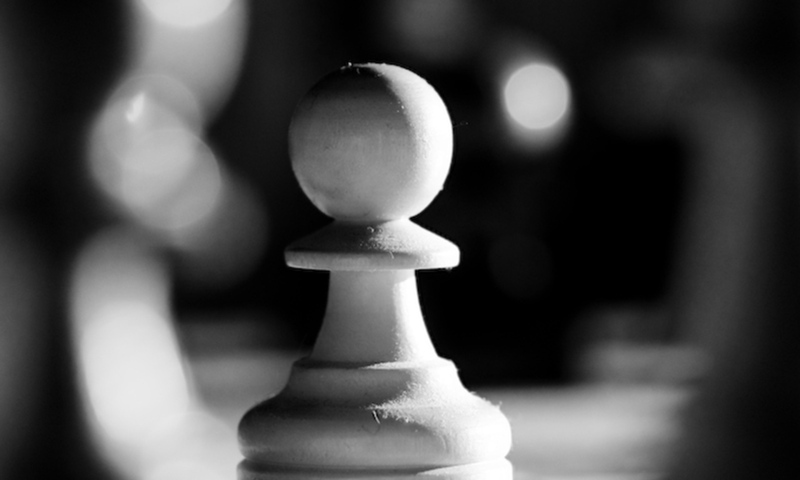 Chess and bridge are preeminent in the mental demands they make on their practitioners. Anybody familiar with chess will be aware of the otherworldly brilliance often displayed by the grandmasters. And I myself can testify, as someone who played county-level bridge when young, that top bridge competitors regularly perform prodigious mental feats of inference and ingenuity. So I cede to no one in my admiration for chess and bridge. They are splendid activities, calling for the highest levels of mental sophistication. But they are not sports.